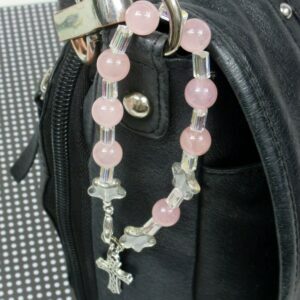 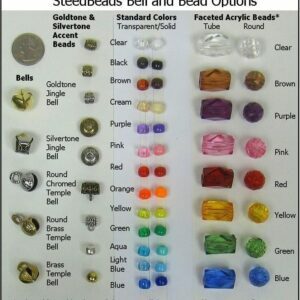 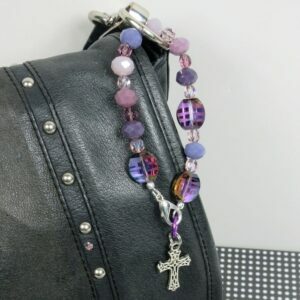 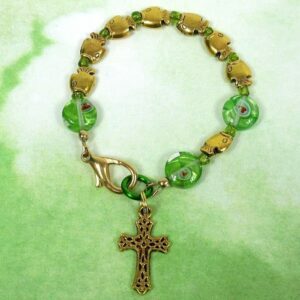 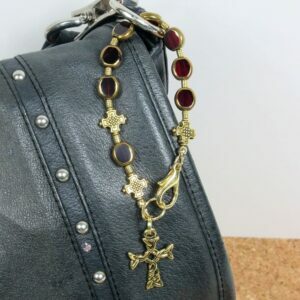 Chaplets are shortened versions of protestant (Anglican) prayer beads, which are similar to Catholic rosaries, but with a different layout. 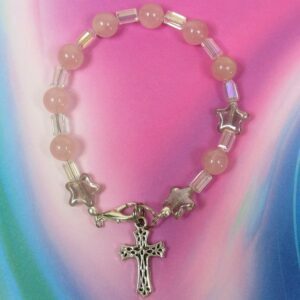 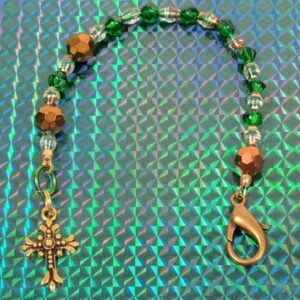 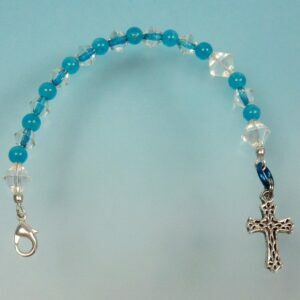 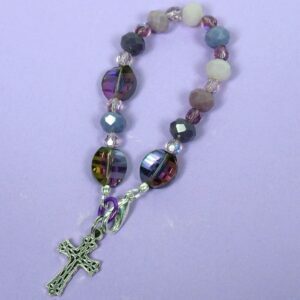 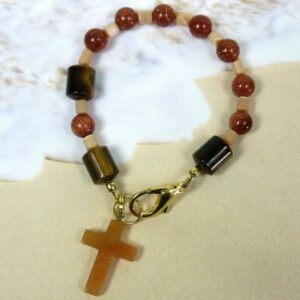 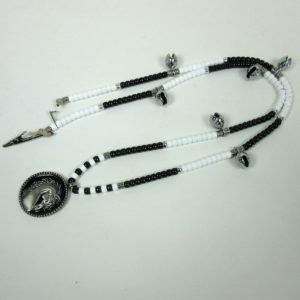 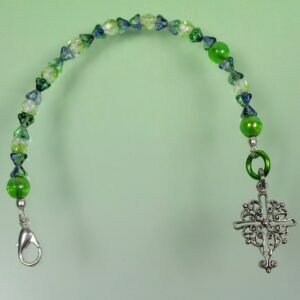 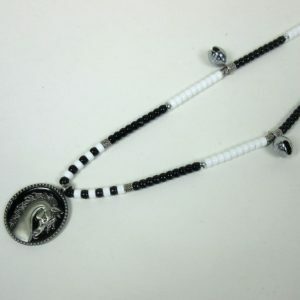 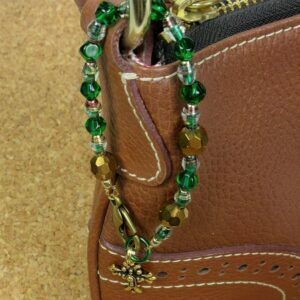 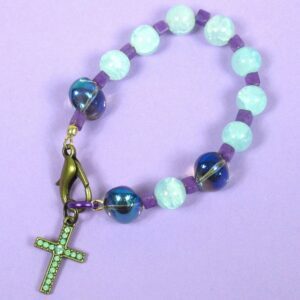 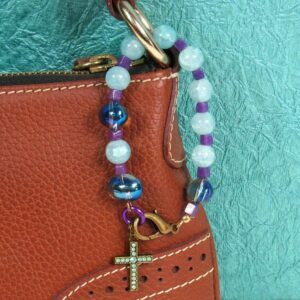 Chaplets made by Kristi Lyn Glass are designed to be used in any way you choose to enhance and/or organize your prayer time. 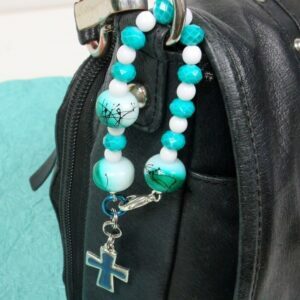 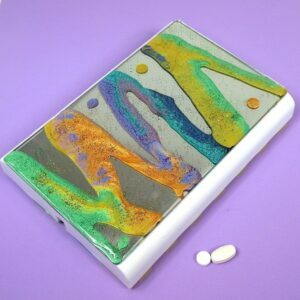 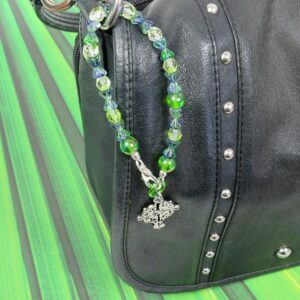 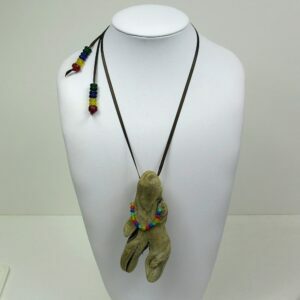 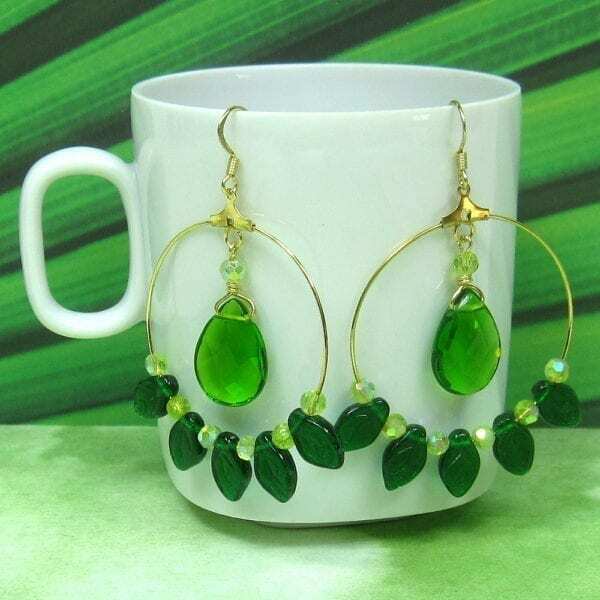 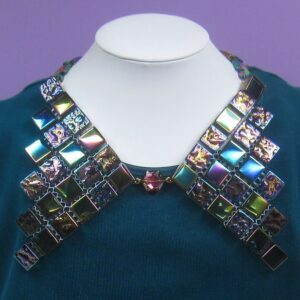 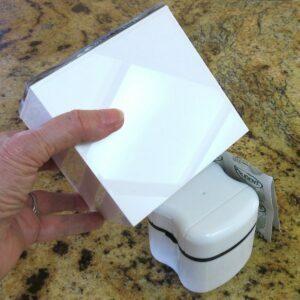 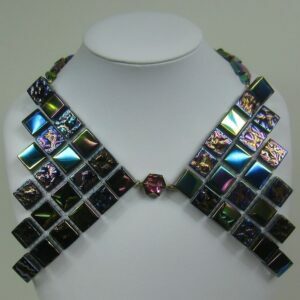 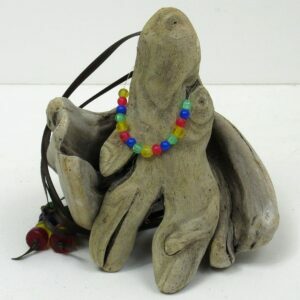 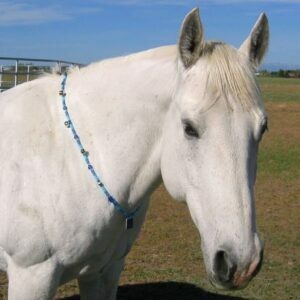 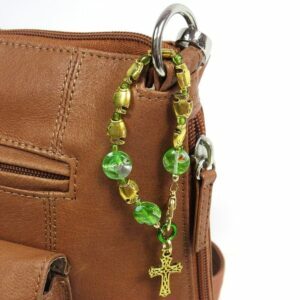 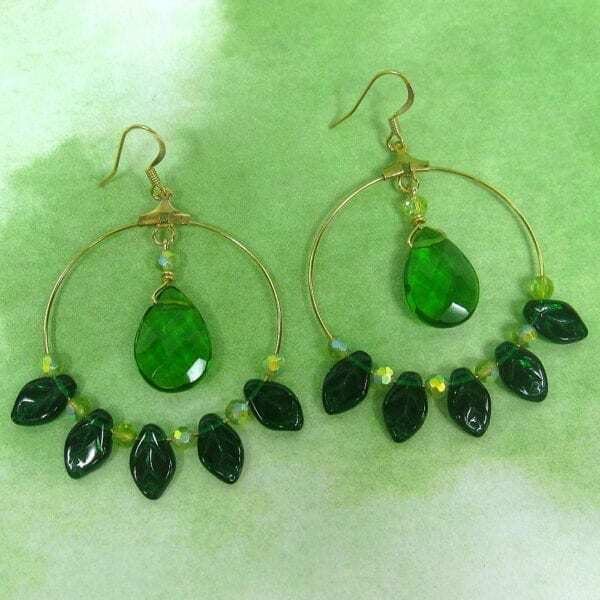 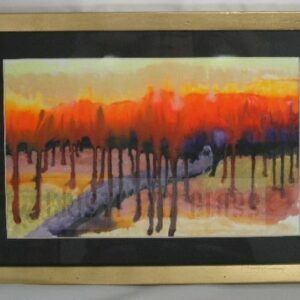 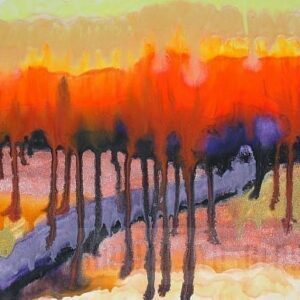 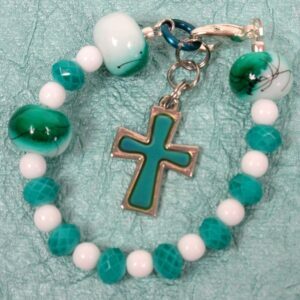 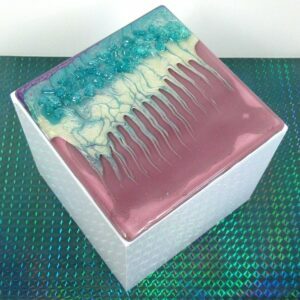 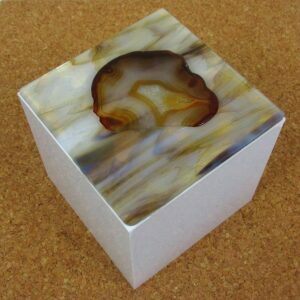 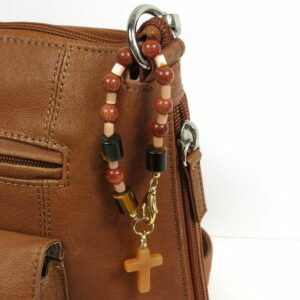 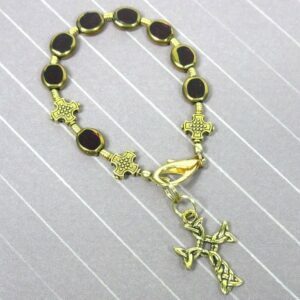 They may also be worn as bracelets or attached to purses, backpacks, rear view mirrors, etc. 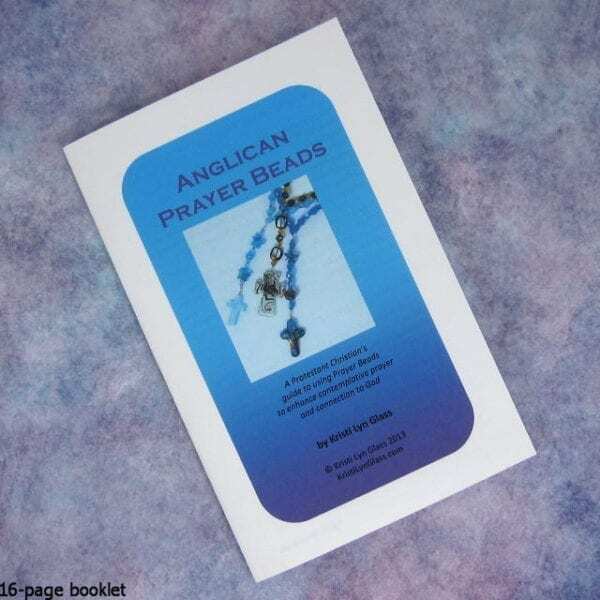 Each chaplet comes with a velveteen pouch and a 16-page booklet describing their history and use and containing several sample prayers..